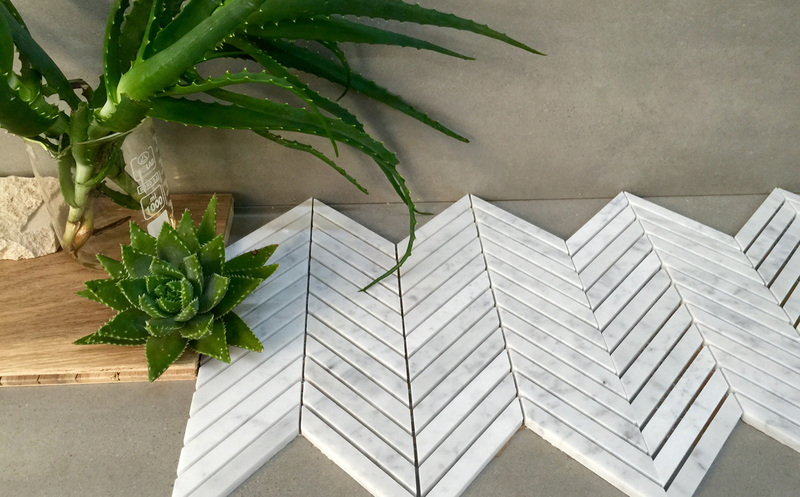 Introducing our New Carrara Chevron Mosaics to our extensive Carrara Mosaic tile collection. Carrara marble is a classic stone, and it's popularity in recent years has increased significantly. A stone that has been used within designer spaces for centuries, now available in mosaic formats, selected to give a scheme a decorative edge. The natural grey and white variation within the stone, cut into chevron lengths gives a distinctive look and adds touch of luxury.